Cece Bell has published over a dozen children's books, including the Sock Monkey series. El Deafo, published in 2014, is her most personal book. It's more of an adult comic-strip-format memoir. All the characters appear as stylized rabbits, a twist that enables both hearing-aid cords and earpieces from the Phonic Ear body-pack aid to be clearly visible at the same time. "The Phonic Ear hearing aid and microphone set-up made me feel like a superhero with superpowers! . . . I didn't usually feel like a superhero, though. I felt like a confused kid. Was I deaf? And what did that mean? These questions are the true gist of the book." Many of us have grown up wearing heavy and visible hearing aids, been mainstreamed, and experienced embarrassment and desiring only to fit in, to belong. While this doesn't sound like great comedic material, Bell has managed to frame her experience in such a way that all readers can identify with her. El Deafo manages to be true-to-life, from a kid's perspective, and hilarious at the same time. 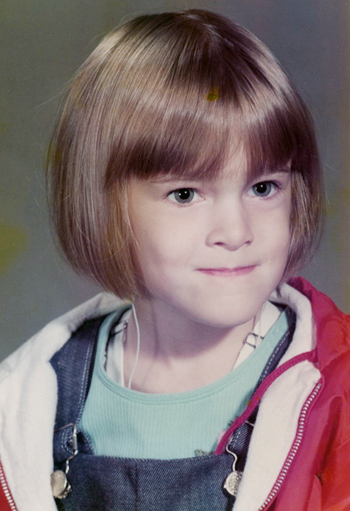 As in El Deafo, Bell was deafened by spinal meningitis at age 4, and was (mostly) mainstreamed in public school, where she was the only deaf student. Her Phonic Ear body-pack aid and harness, which she usually wore outside her T-shirt, were conspicuous, and El Deafo includes incidents of bullying and exclusion, and lots of miscommunication—what happens when the batteries go dead? She recalls that several of her teachers noticed that she had "a knack for writing" and encouraged her. She majored in Art at College of William and Mary, and earned a Master's in Illustration and Design at Kent State University's School of Visual Communication. She's married to Tom Angleberger, himself a successful author/illustrator of children's books (e.g., the Origami Yoda series). They have two sons, and the household includes dogs, too. As she tells us, "In a way, most of my books re based on real life—it's more like they're based on situations that I have experienced, or on emotions that I have felt. There's this advice that young writers hear all the time: 'Write what you know.' I like to say, 'Write what you know, but then make it weirder.'"